Do you know what to do if you have a car accident? Even the best drivers can get into auto accidents. Weather conditions, road work, pedestrians, distractions and other drivers can cause even the most careful driver to crash. Do you know what to do if you are in a car accident? Safety first. Whether it’s a fender bender or a major accident, first, check to see if anyone is hurt. Check yourself and your passengers, then check to see if anyone else who was involved is injured. If there are serious injuries, or if you aren’t certain if the injuries are serious, call 911. Remain calm. This will allow you to better focus on details. Remember, accidents happen, so there is no need for anger, even if you feel the accident was not your fault. If you call 911, they will want to calmly tell them where you are, the type of injuries sustained, the number of people involved and more. Check the scene. Be aware of the traffic and activity around you. You don’t want your accident to cause another. 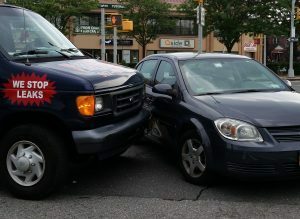 If the accident was minor and you just need to exchange information with the other driver, move the cars away from traffic so you can talk safely. However, if there are major injuries, don’t move the victims until help arrives. Sometimes doing so can worsen their injuries. Take other steps to help make the scene safer, like turning on your hazard lights or setting out flares if you have them. Call the police. In a serious collision, call 911, but for minor accidents, you can call the non-emergency line in your area. Take pictures. Here’s where your cell phone comes in handy. Take photos of the damage to your car and to other cars involved in the accident, as well as their license plates. If there was an environmental reason for the crash, like a downed tree limb, take pictures of that as well. Exchange information with the other driver(s) involved in the accident. At a minimum, you need the driver’s name, address, phone number, insurance provider, policy number, driver’s license number and license plate number. Most of this you can get from their vehicle registration form. It’s also helpful to jot down the make and model of their car and its color. Don’t claim fault for the accident; just exchange the information calmly. You need to provide your same information to the other driver(s). Stay on the scene. Wait until the police arrive and have taken a report. This report often comes in handy when determining who is at fault in an accident, which impacts your insurance coverage. Contact your insurance provider. You don’t have to call from the scene of the accident, but you should contact your insurance company as soon afterward as you are able. At the Dowd Agencies, we make it easy. When you call our main office at 413-538-7444, you will always reach a live person, regardless of the time or day. You can also reach us online though our 24/7 claims page. We’re here to help, whenever you need us.